Audio Adrenaline's career includes Dove and Grammy Awards, numerous best selling CDs and 11 number one radio singles. And as they showed us at Sonfest, they're also brilliant when performing live. 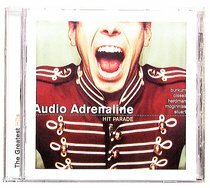 HIT PARADE is a collection of their best songs including 'Get Down', 'Big House', 'Hands and Feet' and two new songs.